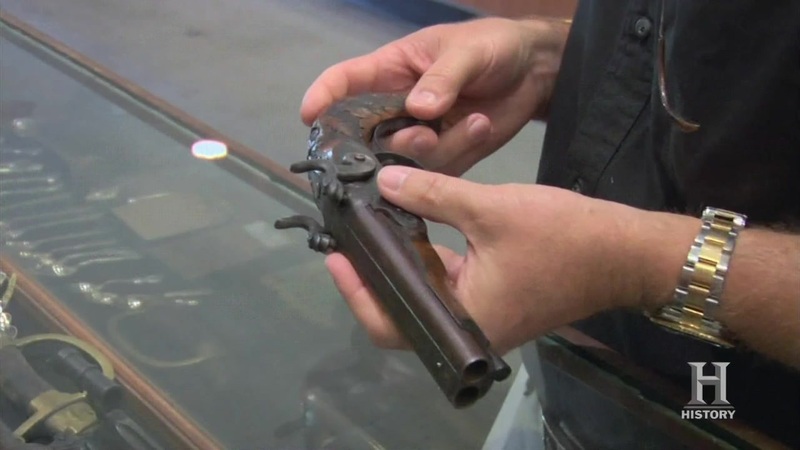 The Pawn Stars reach for the sky when a man walks in with a custom set of 19th century double barrel firearms–including a multiple caliber dual shotgun/rifle and a hand carved pistol. Will they load up and take aim at a deal or will a pair of misfires send the seller packing? Then, Rick and Chumlee are presented with an extremely rare unopened bottle of 1921 Dom Perignon Champagne. From the first year it was produced, will Rick shake up a deal and toast his good fortune or will everything just fizzle out? And later, a man comes in with a collection of autographed talking Freddy Krueger dolls from the horror classic "A Nightmare on Elm Street." Will the Old Man dream up a killer price for this trash talker or will the negotiations be a nightmare on Las Vegas Boulevard?